While surfing the internet on a -13 degree day in Nebraska I searched for the benefits of trees. We all appreciate trees, if not directly, then indirectly in the form of pollution control, oxygen production, and energy conservation. Many of us appreciate them for their economic impact such as growing and selling, fruit production, and lumber. 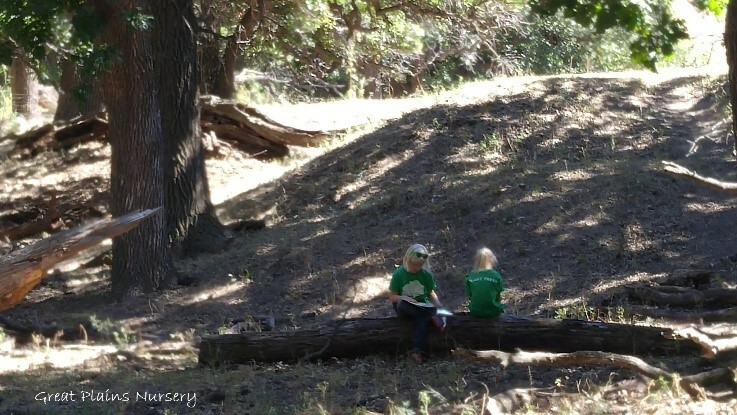 Our kids appreciate them for their endless possibilities of adventure. Climbing, treehouses, swings, for the seed that they produce that always end up in our washing machine. Our wildlife appreciate them for food, shelter, and shade. While trees give us all of these awesome benefits, what do we give them? A deep hole and a mound of mulch. Take one drive around town and you will see many examples of the disrespect that we give trees that give us so much. Anything from planted way too deep, to volcano mulching; mower blight and poor pruning techniques – we are killing our trees before they ever get a chance to help us out. 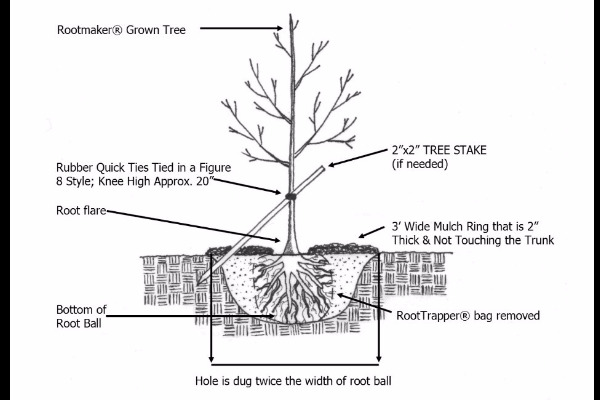 Proper planting depth is critical to the long term health of a tree. When buying a tree, be sure to pick one out with a visible root flare. This will save you a ton of work at planting time. If flare is not visible, then you should find it. Clear out the potting mix to reveal the flare and the first horizontal roots. It’s best to get trees without circling roots around the trunk but sometimes we need to deal with the cards we are dealt. If there is bad circling root, remove it. Once the container is removed measure the distance from the bottom of the root ball to the flare/root transition. That number is how deep you want to dig your hole. Not deeper! Roots grow in the top 12 – 18 inches of soil where oxygen and nutrients are readily available. By planting “only” a couple inches deep we deprive the tree of oxygen. Know anyone with COPD, it does not look like fun. Digging the hole is next. I don’t care if you use a trowel, shovel, tiller, auger, or back hoe. It all goes back to the depth. Whatever you use, make sure you can control it to get the proper depth. Obviously a shovel is the number one tool for the job, but when you are planting hundreds of trees it’s not very feasible. It is ideal for the tree to be sitting on undisturbed soil so that it does not settle. If you get a little too excited and dig too deep, be sure to back fill and tamp the loose soil. When positioning and back filling the tree be sure the roots are positioned to grow out into the surrounding soil. When planting from a traditional smooth container the roots circle around the edge of the container. They will continue to grow this way once planted unless you use a little mechanical intervention, which then, creates a lot of damage. 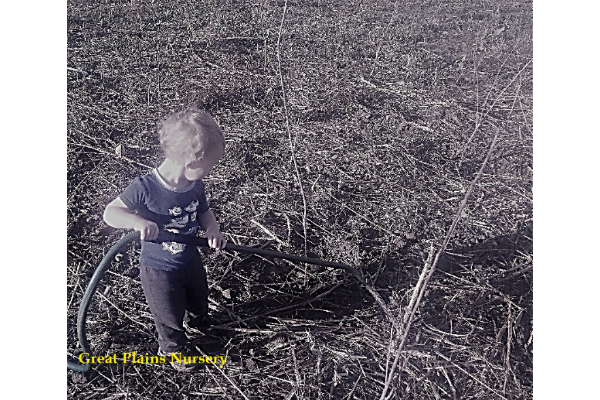 I use pruners and break up the circling roots. For that reason I love grow bags, specifically the RootTrappers™ from RootMaker™. When the bag is removed all of the fibrous roots are pointed outward and ready to grow into the surrounding soil. No prep work involved! When back filling amendments should not be necessary. If you are able to pick the “right tree in the right place” then the native soils should suffice. With the extra soil be sure to create a small berm around the perimeter of the dug hole to help collect rain water. If planting on a slope, make the berm on the downhill side to collect the running water. This will all help with the post planning watering. For the love of God can we stop with the volcano mulching already?! Remember how I talked earlier about how planting too deep restricts oxygen and water to the roots. I don’t think it is a good idea to add 6, 8, or 10 inches to the problem! Not to mention the decay and rot that occurs around the trunk from the constant moisture around it. Two to three inches of mulch is ideal for newly planted trees. A large, three feet (minimum) diameter mulch ring around trees is critical to keeping those pesky mowers and weed eaters away. Try to keep it two to three inches away from the trunk as well. Have you ever heard the phrase “there are a million ways to skin a cat”? This holds true to staking. I don’t really care how you do it, as long as you are keeping that root ball stable. If you are in a protected site and you feel like it doesn’t need staked. Then don’t stake it. That’s my preference. If you are planting in a wind tunnel, and staking is necessary, I like to drive a stake at a 45 degree angle about knee high into the ground. I then secure it with a figure 8 rubber tie (click here to see installation of a figure 8 tie) to hold the root ball in place. I want the top of the tree to move, this helps promote caliper growth. The stake should only have to remain on the tree for one year, which should be plenty of time for a tree with a healthy root system to establish. Water is a fun game. First off do not rely on your yard irrigation to water your trees. That irrigation is set up to water about five inches deep because that is all the turf needs to grow. 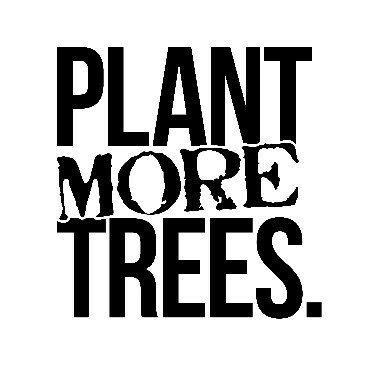 Trees need a good deep water once a week for the first year to help them establish. We generally recommend one inch of water per week. If you get an inch of rain you can skip that week. For most newly planted container or grow bag trees, a five gallon bucket with a small hole drilled in the bottom, allowing it to slowly drain, is enough. For ball and burlapped trees, I would recommend a hose on a slow trickle for a couple hours to really soak the area. Try not to love your tree to death and over water. It still comes down to common sense. Stick your finger a couple inches down in the soil, if it comes out wet you probably can skip that watering. In the end trees are pretty capable of taking care of themselves. They have been doing it for a while without our help after all. These are a few of the tips and tricks that we have picked up along the way. Always remember the old Chinese proverb “the best time to plant a tree was 20 years ago. The second best time is now.” I encourage you to go out and plant native trees and share your experience to social media with #plantmoretrees.